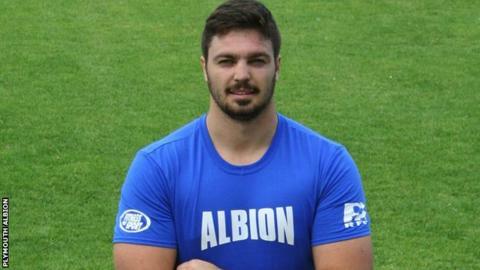 Plymouth Albion's South African lock Dave Fisher has been ruled out for the rest of the season because of injury. The 22-year-old, who joined the club in the summer, injured his knee in a pre-season friendly in August and had been undergoing a rehabilitation programme. But the forward was hurt in training last week and needs surgery on his anterior cruciate ligament. The National One club are hopeful that the former Natal Sharks player will stay in the UK and feature next season. "It is a real blow that Dave is not going to be able to play in the immediate future for Plymouth Albion," said Albion's director of rugby Graham Dawe. "I think he is hugely frustrated but he's a young man and, hopefully, he'll come back stronger."